As we have reported earlier, the separate ISO for Kubuntu Netbook Edition has been discontinued for Kubuntu 10.10. It has been merged with the desktop ISO. When you install it, you will get either the desktop interface or the netbook interface by default depending on your screen resolution. 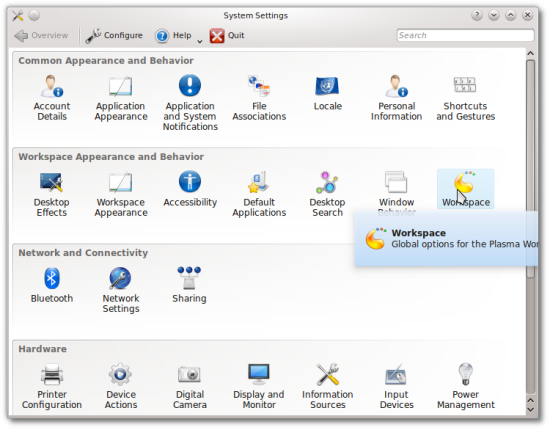 If you are in the KDE Desktop, go to Kickoff -> Computer -> Systems Settings. 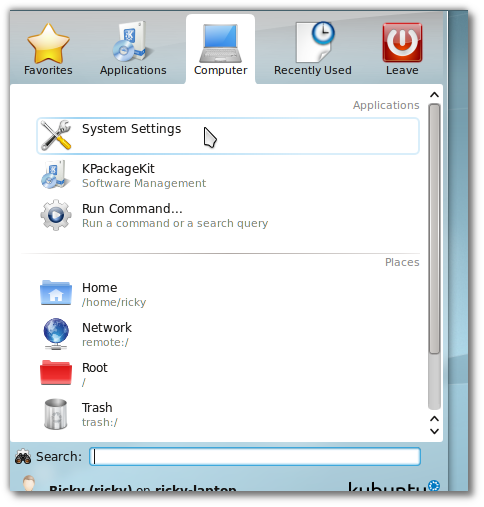 If you are in the KDE Netbook, System Settings is set as a favorite by default. If it is not, type system settings. 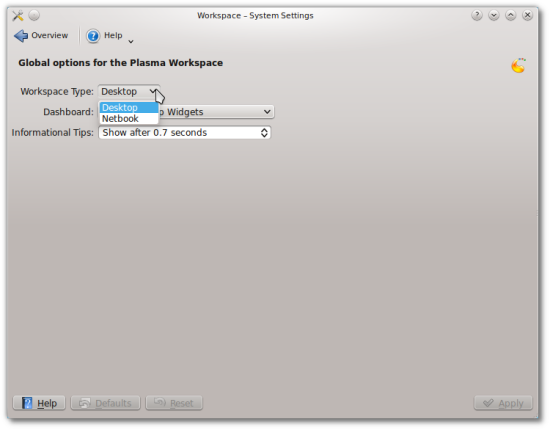 In System Settings, go to Workspace. And in the drop-down menu pick whichever you want. Click Apply; you do not need to restart.